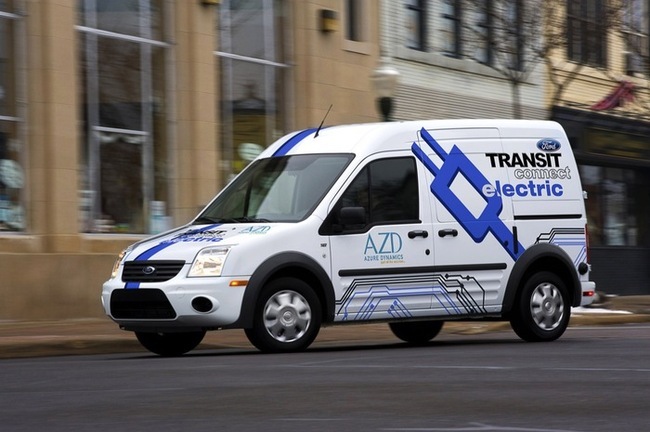 Azure Dynamics, the company that assembles the Ford Transit Connect EV, announced today that it has closed the previously announced equity investment by a strategic investor, which is a wholly-owned Canadian subsidiary of Johnson Controls Inc.
Johnson Controls' Canadian subsidiary acquired, on a private placement basis, 30,796,969 common shares of Azure, at a price of CDN$0.165 per share, for gross proceeds to Azure of CDN$5,081,500. As a result of the Equity Investment, Johnson Controls, through its Canadian subsidiary, now holds approximately 7.2% of the issued and outstanding common shares of Azure. In connection with the closing of the Equity Investment, the Company has also entered into an agreement with Johnson Controls providing for certain amendments to, and an expansion of, Johnson Controls' existing supplier relationship with the Company. Azure plans to use the net proceeds of the Equity Investment to fund its ongoing product development as well as general corporate and working capital requirements.